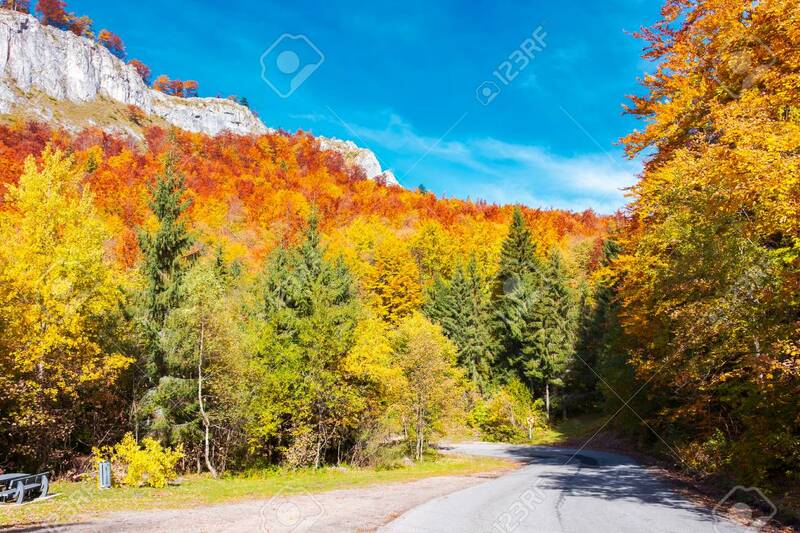 Road Through Gorgeous Serpentine In Autumn Forest. Huge Rocky.. Stock Photo, Picture And Royalty Free Image. Image 108412031.